Freediver Carlos Coste descends onto the Hercules transporter wreck in Aqaba, Jordan. Inset: The ‘pilot’ of the Hercules has seen better days. 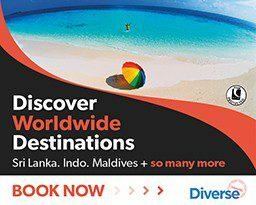 WHEN YOU BOOK your diving trip, what type of adventure are you looking for? Is it a shark trip in the Brothers, or macro mania in Manado? Or do you tend to opt for some sort of “Best of the Wrecks” tour? I started scratching my head. I had dived only six, so far as I could recall. Not an impressive tally, you might say, yet when I think back I realise that as a photographer they gave me more pleasure to dive than many a steel-hulled shipwreck. Perhaps this is because of my long-held parallel interest in aviation, and the fact that I’m an active pilot. The first aircraft wreckage I dived was back in the early 1990s. During my years of studying photography at Plymouth College of Art & Design, we regularly visited the breakwater in Plymouth. At the eastern end lay, and lie still, the remains of a Royal-Royce Merlin engine from a Lancaster bomber (ED450) that crashed there in 1943. The broken engine lies encrusted and twisted at the bottom of the reef in about 14m. 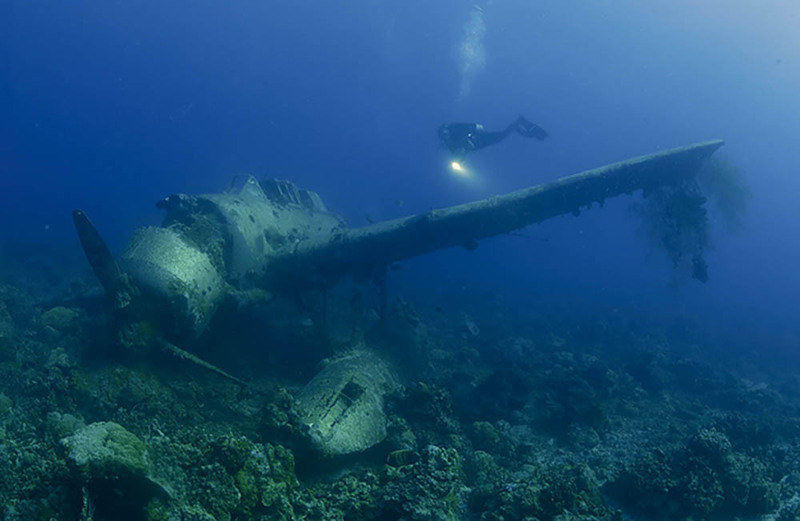 The remains always fascinated me as I was drifting along the reef, but were ultimately doomed to disappoint, because there were no substantial pieces of the fuselage or wings, other than a few fragments dotted about on the shingly seabed. Recently, in December 2018, more remains from a Lancaster bomber were found near the breakwater, and experts believe they come from the same ED450 bomber. Time will tell once the team has carried out further investigations, but this find was an exciting one for marine archaeologists and the local diving community. By the end of the ’90s I had finally got to see an almost complete plane. I joined a team of Swedish divers in 1998, soon after the first Britannic expedition, and headed for Norway. Team-members included Richard Lundgren and his brother Ingmar, soon to become known as GUE gurus. We spent 10 days diving a fjord under the ice that February, and explored many of the deeper sites in Narvik harbour. After a deep morning dive, I had the chance to dive a German Dornier DO 26 seaplane. The aircraft was believed to have been shot down in the second battle of Narvik in 1940, and now sat on a sloping seabed rising to just 10m. The wreckage was in amazing condition, considering how long it had been submerged. This must be the result of being encapsulated in icy cold water for half of each year. 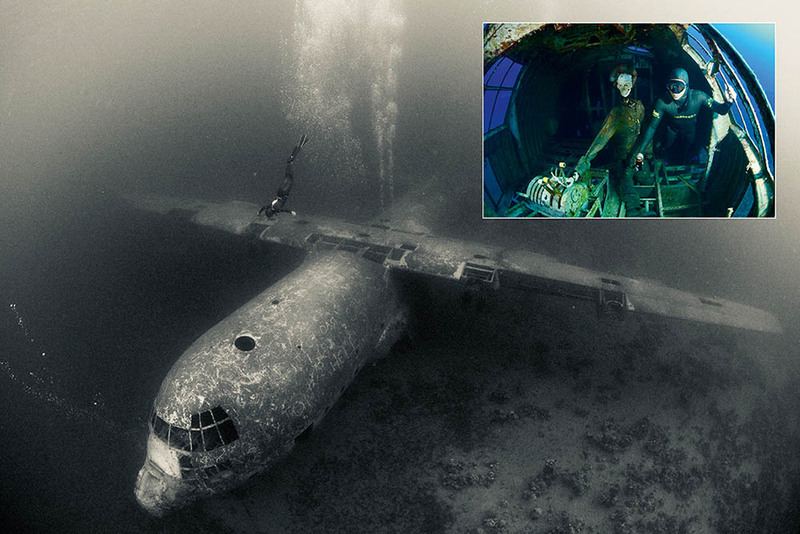 This plane is a rare one – possibly the only one of its type to be under water to this day. THE AMBIENT LIGHT was dim when we dived. It was the Norwegian midwinter, and in addition there was a foot of ice over our heads at the surface! We dropped through the Arctic haloclines, and then part of a wrecked fuselage became visible. In the distance, a prominent German “bar cross” insignia appeared among the weedy growth on the starboard wing – what a way to be greeted at a WW2 aircraft wreck site! On this dive, I decided to photograph the wreck in black & white, using Kodak Tri-X 400 film. In the ’90s this was one of my favourite films – I loved the quality of grain and amazing tonal range it offered, ideal to capture the Arctic ambience of the dive. The waters were gloomy, so we got in closer to the wreckage. We explored the skeletal fuselage, then made our way over to the large engines. Two of the props were buried in the silt, but surprisingly the engine was in good condition. All around the engines were strewn relics and debris from the crash. Twisted metal and hoses protruded from the seabed. As we left, I remember looking back down and being able to make out the ghostly shape of the plane before it disappeared back into the time capsule it had occupied for more than 40 years. In 2004, I had the chance to join Monty Halls on one of his round-the-world dive tours. I was on the trip as photographer and cameraman, and the assignment included the chance to visit Palau. This Micronesian location is known for its spectacular islands and beaches, crystal waters and some of the most diverse reef-diving on the planet. 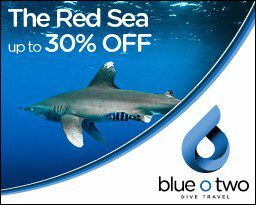 It is also well-known for its shark action at sites such as Blue Corner, but offers a great many wrecks – including a number of shallow aircraft. 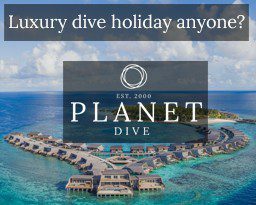 These are dotted around the islands in secret coves stuck among the mangroves – most are broken up, but are still worth snorkelling. Aichi ‘Jake’ seaplane wreck in Palau. Most famous is the Jake seaplane. This is a Japanese Navy Aichi E13A-1 that sits in just 15m of water close to the shore. A slow-flying reconnaissance aircraft, it was the Allies that gave it the Jake name. The wreck was spotted from the surface by a fisherman in 1994. It was in excellent condition, and the prop showed no sign of damage from being shot down, suggesting that the aircraft crashed during landing. It certainly took a few blows when it hit the water. The motor has broken off and is partially sunk into the reef, with the wing pontoon and tail section lying nearby. As the wingspan is just 11m, we decided to split the team to prevent the site getting too crowded. 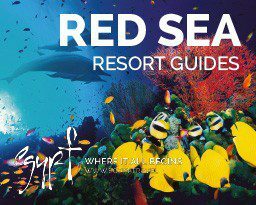 The reef was in great condition, with an abundance of fish and other marine life around. To get the scale of the wreck my buddy Gavin brought out his torch so that we could shoot those classic diver and wreck shots. ON A SHALLOW SITE like this it’s easy to come back with award-winning pictures. I shot with a Nikon D1 DSLR in my homemade housing with a 16mm lens. The D1 has a small sensor, so the field of view is just 120° with this full-frame lens – perfect for such a tiny location. After 20 minutes we’d shot the plane from every angle, so moved onto the reef to let the other divers enjoy the site. The most recent aircraft I had the chance to dive was the Hercules C-130 wreck in Jordan. This was sunk deliberately in November 2017, just 200m off the Aqaba coast. The sinking was fronted by King Abdullah II, a keen diver and sportsman. Hoping to boost dive tourism in the area, he and his team came up with the project. Since the sinking we’re told that there has been a huge growth in visits to this site and to the other wrecks nearby, including freedivers and glass-bottomed boats as well as scuba-divers. The wreck was sunk on a sandy area and is in the process of becoming an artificial reef, slowly encouraging marine life to move in. It sits in just 16m with the top in 12m, making it easily accessible for all levels on diver. Last autumn I teamed up with Carlos Coste, a Guinness world freediving record-breaker. I had already carried out a number of dives on the plane, but always taking pictures of scuba-divers. Now my plan was to photograph Carlos swimming, standing, and sitting on and near the wreck. I dropped down the shotline and made my way down for a quick tour before Carlos arrived. The plane had been down for just over a year, and a layer of green algae covered the fuselage, with glimmers of coral growth. I swam off the wreck, positioned myself just in front of the wing and waited for Carlos to drop down to perform a number of shots, starting with feigned wing-walking. My concepts were bizarre, but I was happy with the final outcome. At the sides aft of the wreck are two doors that allow visitors to enjoy a tour of the bare fuselage. If you make your way to the front you will be greeted by a skeleton in the captain’s seat. Carlos showed off his amazing skills, swam the length of the plane and passed through the interior. I was left mesmerised as he made it look so easy. Twenty-five years ago I was doing this sort of thing, and it made me want to dig out my long fins to enjoy such tankless freedom again. I must have done 30 or so dives on aircraft wrecks and relish the ability to swoop around such sites like a bird and be able to take in most of the wreck at one view. And it seems that old aircraft are becoming more popular as purposely sunk wrecks in various parts of the world to draw visitors. 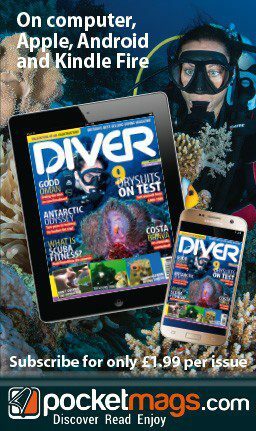 These sites generally offer good open access, are suitable for newbie divers and have plenty of light penetrating the interior, which photographers will always welcome. Environmentally they are cleaner and require less preparation than most boats or ships. Long-term they will biodegrade more quickly, leaving only a small footprint on the seabed. DIVERS WHO VISIT New Providence in the Bahamas might care to have a look at the “James Bond aircraft wreck” – the mock-up of a Vulcan bomber built for the movie Thunderball in 1965. Cessna 310 wreck in about 15m off New Providence in the Bahamas. Used as a prop in Jaws 3, it was crashed into the sea by a stunt pilot, then moved to its present location. There is also a real plane I dived there, a Cessna 310 that sits in around 12m. It’s not that exciting, but it’s worth checking out and, like many planes, is photogenic. My sixth aircraft wreck? In 2004 I was working on the Wreck Detectives TV series and was able to dive the Short Sunderland bomber in Pembroke Dock. The site is in a protected area in the harbour and the conditions were very poor on the day, making visibility a struggle, but these remains were fascinating. Local authorities have been trying to raise funds so that it can be raised and displayed in a museum. 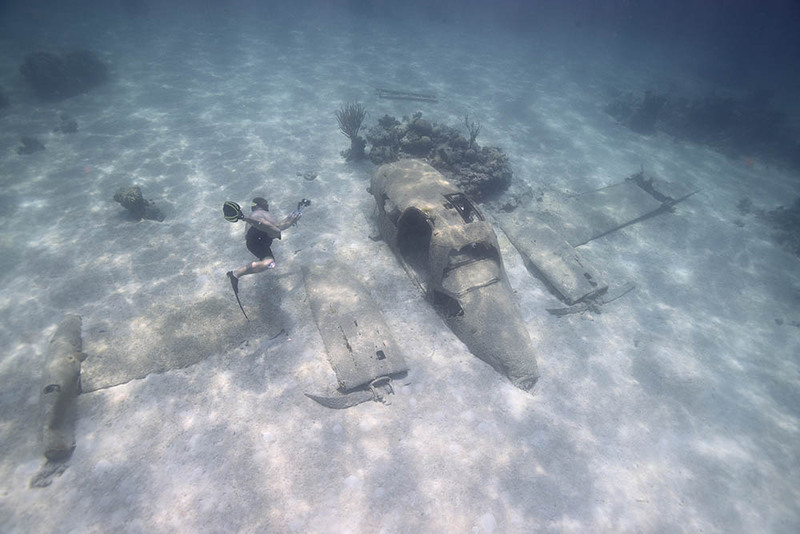 Now that I’ve been prompted to think about aircraft, I have come up with a list of sites around the world I’d like to visit – and look forward to more underwater flying adventures in the near future.